Seventeen aspiring hospitality professionals in Indonesia are now set to progress into the industry having successfully completed the WSET Level 1 Award in Wines. WSET partnered with Sumba Hospitality Foundation to host a WSET Educator led course for a group of its students, providing the opportunity for them to gain one of WSET’s world renowned qualifications to help strengthen their prospects of starting a career at one of Indonesia’s many high end resorts and hotels. Sumba Hospitality Foundation was founded to provide underprivileged young people an opportunity to make a better future for themselves working in hospitality. Sumba is a beautiful Indonesian island with a highly distinctive culture, which is slowly developing into a tourism destination. The Foundation believes that by offering vocational education in hospitality, they can provide young Sumbanese people with the skills they need to create employment opportunities on the island. The Foundation’s aim is to educate a new generation of hospitality professionals to enable Sumba to become an example of a sustainable tourism development, one which involves the local people and protects the natural beauty of the island. Education, awareness and responsibility are the three most important keystones of the Foundation. Students are trained in all aspects of resort and restaurant management, from front of house and housekeeping to F&B and culinary skills. The income from the fully functioning restaurant, hotel and organic farm within the Foundation complex will enable the organisation to be self-sufficient in the future. WSET Certified Educator, Christopher Martin led students through WSET Level 1 Award in Wines in November. In keeping with the localised theme the wines they tasted were from Hatten Winery in Indonesia, which make wines from a combination of local and Australian grapes. 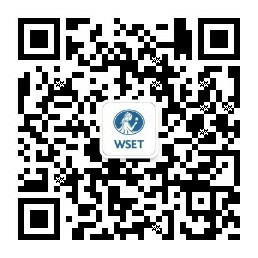 All costs were covered by WSET in support of the Foundation’s work. Thomas Lerch, Director of Hospitality Education at Sumba Hospitality Foundation, says, "We are grateful to the Wine & Spirit Education Trust for delivering Level 1 Award in Wines training for our underprivileged Restaurant and Bar students at Sumba Hotel School. For our students to pass the exam standards of WSET makes us proud and this qualification will prove very useful for them during their 7-month industry internship and increase their employability across Indonesia. We look forward to continuing this wonderful partnership." WSET’s Christopher Martin says, "Sumba Hospitality Foundation does amazing work to inspire and educate aspiring hospitality professionals on the island. Following our first year’s success, WSET hopes to make this an annual event to continue supporting the Foundation and help it drive the local economy as its burgeoning tourism scene develops."